It’s advice you may have been given more than a few times in your life. That’s because it’s pretty good advice! After all, who doesn’t like options? When it comes to owning your own Creative Colors International mobile repair and restoration franchise, you’ll always have plenty of options. CCI puts tremendous growth potential within reach because it’s a business that appeals to so many markets — most of them commercial. And there’s a huge advantage to owning a “business to business” based service. From auto dealerships to body shops, from airlines to boats — Creative Colors International is your path to going into the business of helping other businesses save money! And you know what that means? Plenty of business for YOU. Here are nine more reasons why 2019 is the perfect year for you to take a closer look at Creative Colors International and its business-to-business model. Labor issues are minimized. Operating a CCI franchise won’t require you to hire large numbers of technicians. Compare that to, say, a restaurant franchise that is regularly faced with employee turnover. Minimum wage concerns. In 2018, we saw battles over minimum wage increases in cities and states across the country. Sometimes, employers might not even know what the minimum wage is in a given town or state because of changes to state and local laws! There’s no reason to expect we won’t see more of the same in 2019. Automation devastation. Automation could impact 375 million jobs by 2030, according to a recent study. But it takes some creativity and skill to make the repairs to our clients’ costly leather, vinyl, fabric, and plastic components. It’s precision and detailed work, with an eye to design. Trade war uncertainty. The outcome of continued trade tariffs has a lot of industries keeping a closer eye on the bottom line. That’s good news for CCI franchise owners as our quick and convenient repair services save money (sometimes as much as 90 percent off replacement costs!) and help move inventory quick! Healthcare hullabaloo! Businesses with lots of employees are also facing future uncertainty over healthcare costs! 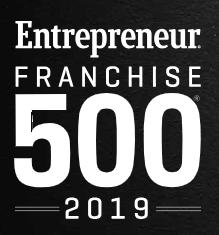 Many of our franchisees begin as “one-man operations” — meaning your only employee is yourself! As your business grows, so do your profits, and then, eventually, employees. The Amazon As a CCI trained technician and franchisee, the product you are selling is YOURSELF! Nothing can match our skill and our process. We are the Amazon of replacement options because CCI makes repairs so much more convenient and cost-saving than replacement. Once vendors see your work, they’ll phone you before they even think about replacements. Location, location, location. Do you have to worry about where you base your Creative Colors International franchise? Nope. That’s because you’ll mostly be going to the other businesses you serve. No worries about traffic patterns and parking. No concerns about population shifts and site visibility. We are a home-based, low-overhead, and high-profit potential franchise. Variety is the spice of life. When it comes to franchising, working with/for another business is great. Working with/for many other businesses is fantastic! Our B2B model is diversified: automotive, restaurants, hotels, commercial furniture, medical facilities, aviation, fitness centers, marine, RVs, warranty companies… even schools! You are only limited by your imagination. And CCI helps you establish your client base, so your franchise begins generating revenue immediately. Keep your options open. Of course, you can work in a residential capacity as well. In our increasingly frugal and environmentally conscious society, more and more people are seeing the wisdom of repairing and revitalizing items like cars, couches and kitchen vinyl flooring, rather than buying something new and throwing the old away! Contact us to see in six easy steps if franchising with Creative Colors International is right for you.